What is HomeBridge and why should you use it? HomeBridge is a utility that some wonderful geniuses wrote to allow you to tie together all of the various “almost smart” home devices into Apples new HomeKit framework for Siri to control. If you want to learn more about Siri and HomeKit then I would suggest you start reading Apple’s website for some examples and details. Now that you are familiar with Siri and HomeKit we can move onto using HomeBridge. HomeBridge is a utility that needs to be run on a device that can stay powered on all the time in the background. Ideally you will want something that doesn’t consume lots of power or resources. That’s where the Raspberry Pi comes in. You can buy a Raspberry Pi 2 on the cheap almost anywhere, my preferred vendor was Amazon this time. At the time of this writing it is priced at $37.70 (Click Here to View on Amazon). Of course you will need a 5V 2Amp Micro USB power supply and a Micro SD Card to install the operating system on. I would strongly recommend getting a fast MicroSD card such as the SanDisk Ultra 32GB MicroSD. The speed is important to the overall performance of your soon to be server. Proceed with Caution! I am not liable for your mistakes. Ok I’m convinced. Now what? Now you will need to get everything together and assembled. Some of the things I’ll be covering will be optional. Such as you can optionally connect your server via Ethernet or WiFi. In that case, I would suggest Ethernet for quicker response time. You may also want to protect your Raspberry Pi by installing it into a case, and there are hundreds of options out there for you to choose between. Once you have acquired all the necessary and desired pieced you will need to download the operating system to install on your raspberry pi. Go to the Ubuntu Raspberry Pi website and download the OS. Once you have it downloaded you will need to download the tool we will use to install the OS to the MicroSD card. I will apologize in advance for providing a SourceForge URL. Should you find the software elsewhere to download, then more power to you. Go to this download page for Win32DiskImager. Once you have that downloaded and running, you will need to write the .iso to the MicroSD card. When selecting your Device, make sure you have chosen the correct drive letter so you don’t accidentally ruin your hard drive. This may take a few minutes, so be patient. Now assemble all the pieces, plug your Raspberry Pi in. You will want to make sure you have a monitor, mouse, keyboard, and ethernet connected so we can set up the basics. I have it booted up, whats next? Delete the second partition using these key strokes (d, 2), then re-create it using the defaults (n, p, 2, enter, enter), then write and exit (w). You should have a (re-sized) SD card at least 4GB, because by default it will want to create a ~2GB swapfile. I set an encryption password, I would recommend storing this somewhere safe if you do. Now we will want to login to the homebridge user and finish setting up the Homebridge utility. This will fail and tell you that your config.json is missing, but it will create your dir. Make sure to follow their corresponding guides for setting up each of the plugins after installing them. Finally we need to authorize our user to run that script upon boot. Ok, I’ve done all that… What now? You’re done! Congratulations! 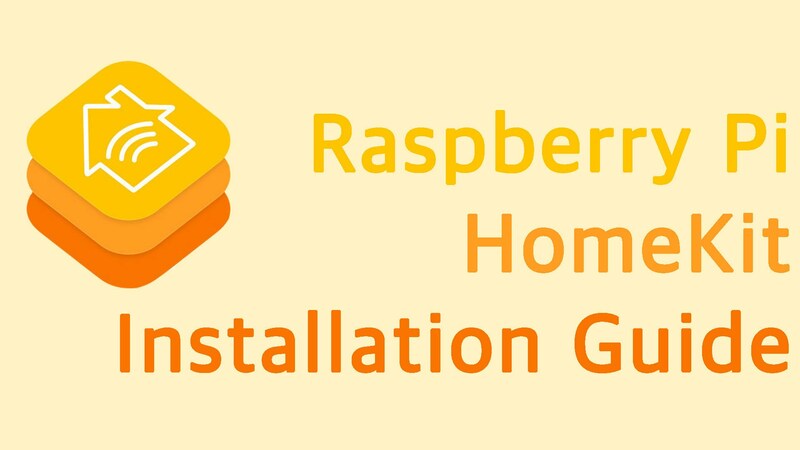 You should now have a fully functioning HomeBridge server on your Raspberry Pi. Go have some fun with it, and create more! Well wait, hold on a sec. Mine isn’t working!. You can always join the Slack Team and ask questions.